Flotus never fails to serve a dash of fashion royalty. 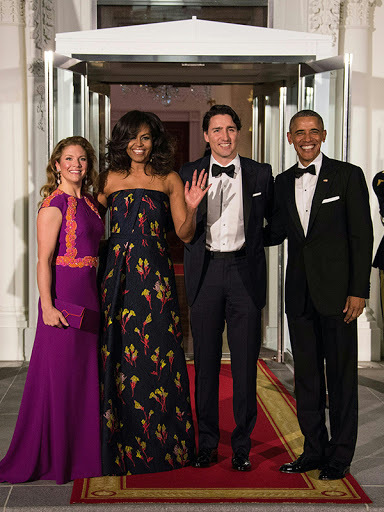 Last night was no exception as Mrs. Obama owned the White House State Dinner honoring Canada’s Justin Trudeau. Lady O headlined the menu with a starpless frock custom designed by Jason Wu. The gorgeous midnight blue jacquard gown was inspired from Wu's Fall 2016 collection. This is the third time the Canadian raised designer has made an appearance at a state event. 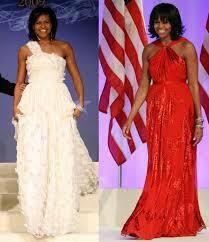 We'll never forget the two gorgeous gowns for the Inaugural Balls. As the dynamic duo (Flotus & Potus) take their final romp around 1600 Pennsylvania Ave. , I'm anxiously looking forward to seeing how Michelle Obama will exit the fashionable platform she has single handedly created. Since stepping out of the Presidential motorcade on a chilly DC morning donning an Isablel Toledo coat and matching dress.... And looking pretty darn Fabulous we might add!